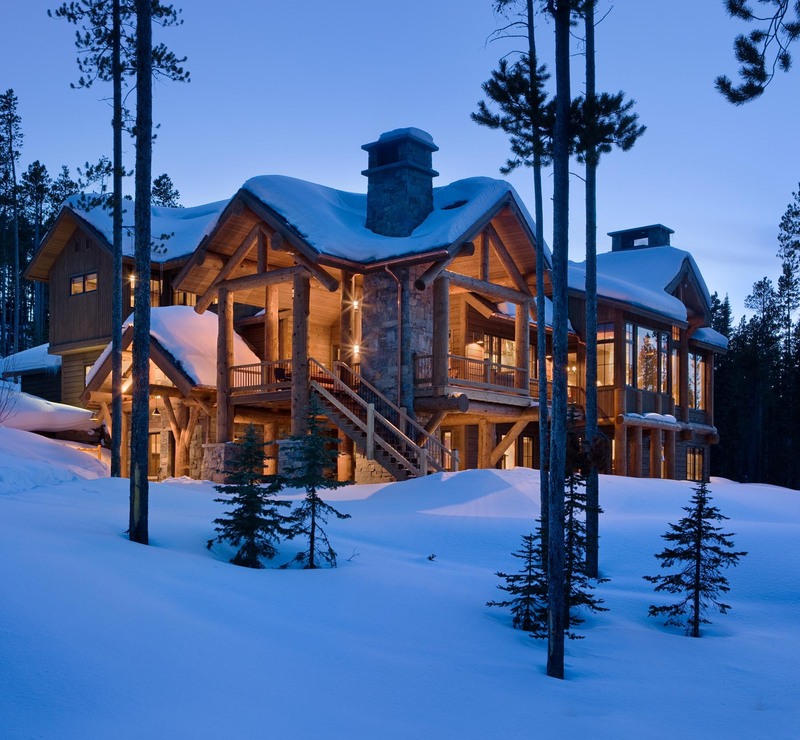 MOST CUSTOM MOUNTAIN HOMES in Montana are centered on the view. And the Moonlight Basin home of this Minnesota-based family is no different, except that instead of focusing solely on the exterior views — the craggy ridgeline of the Spanish Peaks — the views inside the house are also spectacular. Exterior views were important to the family, architect Reid Smith and builder John Seelye with Big Sky Build placed the home with the goal of achieving the panoramas. That way, in the summertime, when the sun sets well after 9 p.m., the knockout views are front and center. But this ski-fanatic family spends much of their time here during the winter months when, by the time they return from the slopes, it’s often dark. 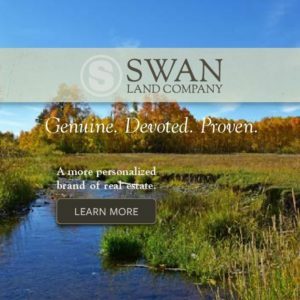 So Smith, along with Seelye’s team, Carol Merica with Design Associates, and insightful input from the owners, collaborated in bringing the natural beauty of the outdoors to the interior spaces as well. Towering lodge pole pine logs, averaging 18 inches in diameter, are angled to create a playful, significant presence and mountain lodge feel at the entryway, while the rest of the exterior is toned down. “They wanted the richness of logs without the heaviness of a log home,” Smith explains. With an open plan on the main floor, Smith used the same sized lodge poles throughout the vaulted ceiling of the great room, with a towering stone fireplace to one side. Immense windows allow the mountains in as the daytime backdrop. Dividing the kitchen from the great room is a stone core that runs through the middle of the home, defining some of the open spaces. Made from Chief Cliff Hot Springs rock, found near Kalispell, it’s put together like an intricate puzzle, with a variety of textured rocks with slightly different patterns and tones that are lit up in the evening, as if on display. 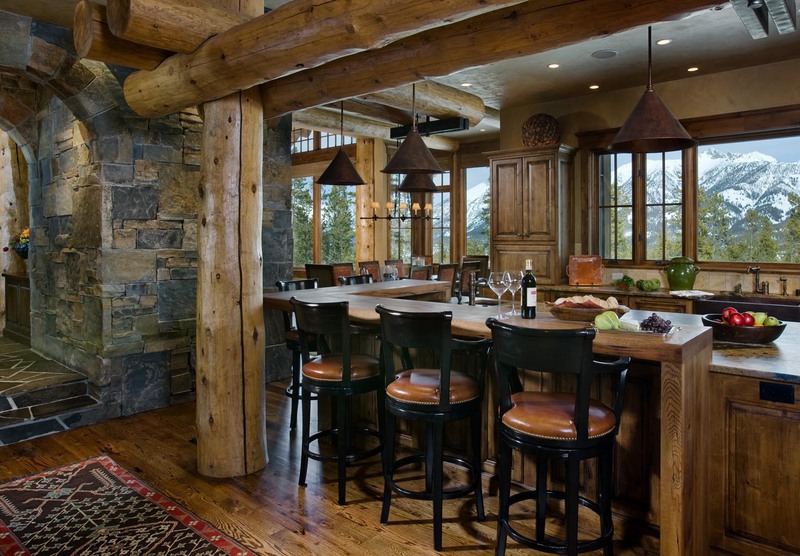 Large lodge poles, acting as a trellis with a twist, cover the L-shaped kitchen island seating. And since the kitchen is a prime hangout, cabinet space was sacrificed for a wall of windows that lets the kitchen folks enjoy the mountain views. Where the dining room meets the great room, a wine cellar is carved out of the stone, with a castle-like door that serves a piece of artwork in itself, with a little light peaking out from the window. As a house that plays host to many guests, the family wanted to make sure that most square footage was allotted to primary spaces. The six bedrooms needed to be comfortable and inviting, but it’s where they pour their ski-tired bodies into bed, and not much else. Dual master bedrooms, smaller in size than most, are comfortably decorated and have master baths without bathtubs for simplicity’s sake. On the other side of the house are two more bedrooms, and two more are on the bottom floor, one serving as a bunk room for kids. The bottom floor could easily be the typical family room — with a comfortable couch for movie nights, a bar, pool and shuffleboard table. But then there’s the large steam room off to the back, enclosed in glass and surrounded by small logs. See-through when not in use, the steam quickly opaques the glass walls, and only a light is visible, serving as another indoor sculpture. As the interior designer, the owners brought in Merica early on, allowing her to be on the same page as the other team members. 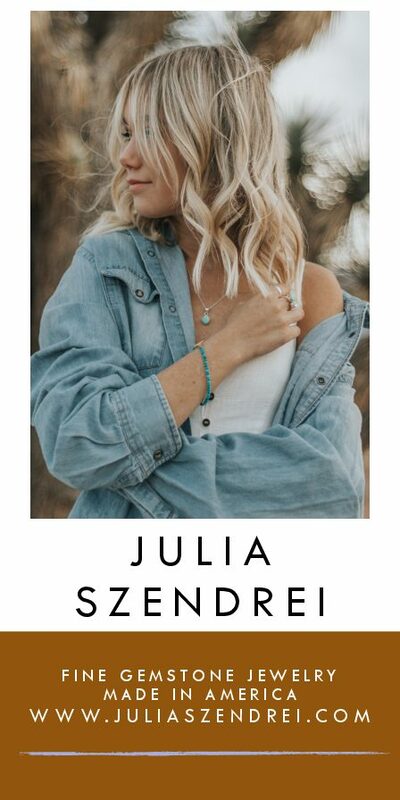 Through collaboration with the owners, they gathered pieces from the Bozeman area and beyond, mixing traditional décor with family memorabilia and great finds. 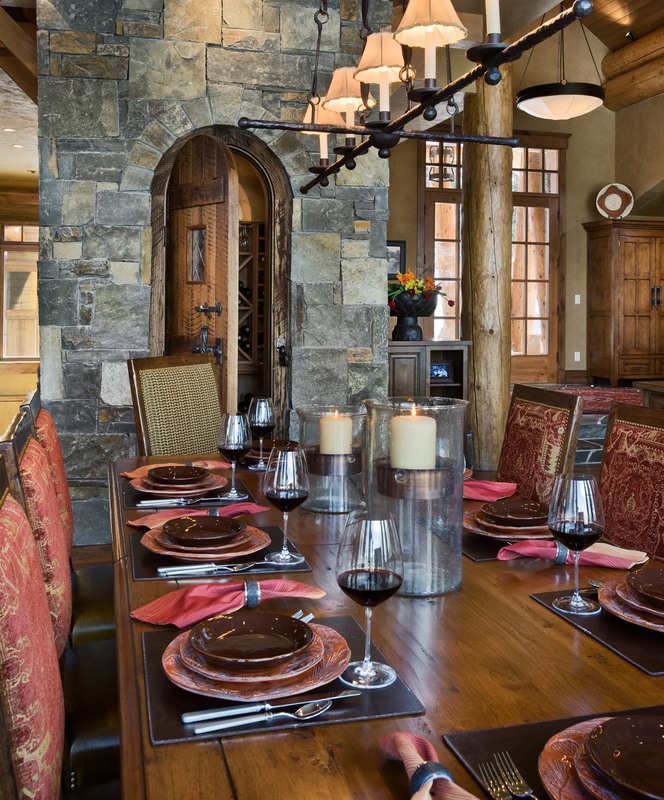 The end result is what she describes as “a mountain house feel with an eclectic mix of accents.” And with the exceptional exterior and interior views — with the lodge pole and stone structural accents — she was able to keep the artwork minimal. With Montana’s long, snow-filled winters, this family can rest assured that when they get back from a long day on the slopes to darkened windows, they’ll always have the internal views to fall back on. A wine cellar is built into the rock core of the home, right off of the dining room for easy access. Towering lodge pole pines give the exterior a hearty mountain lodge presence. Together with log and stone accents, it highlights the natural surroundings. Views are prominent even in the kitchen, where large lodge pole pines serve as a trellis for the L-shaped kitchen island seating.